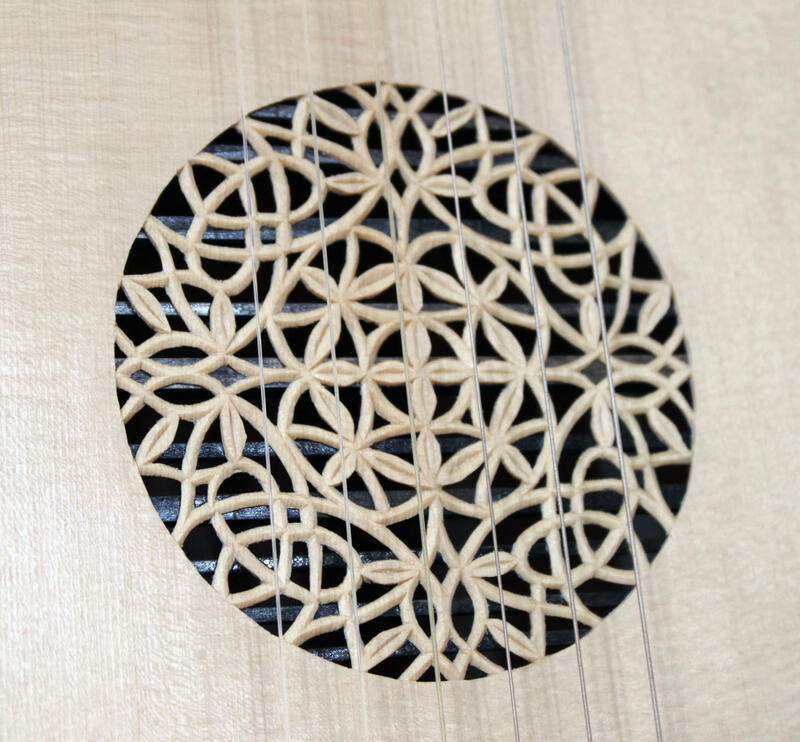 7 - course lute in g NEW, optimized price - performance ! 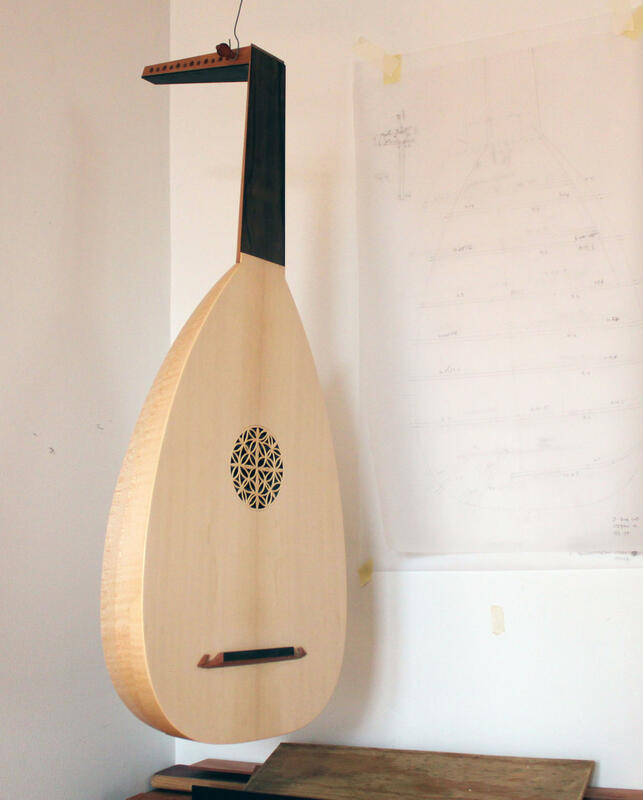 This lute model is the solution for the advanced student who want to keep going with their instrument after graduating and into a professional career. 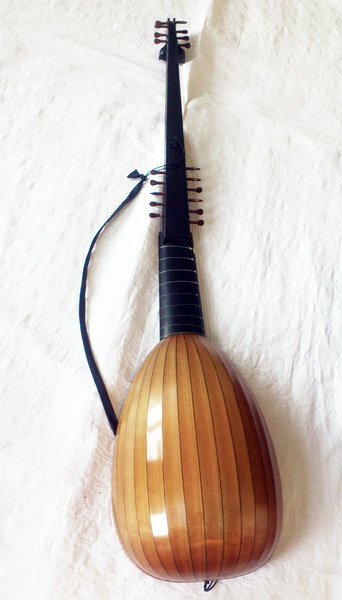 It is a "no frills" instrument , a tool to search out all the wonderful 16-th century music. 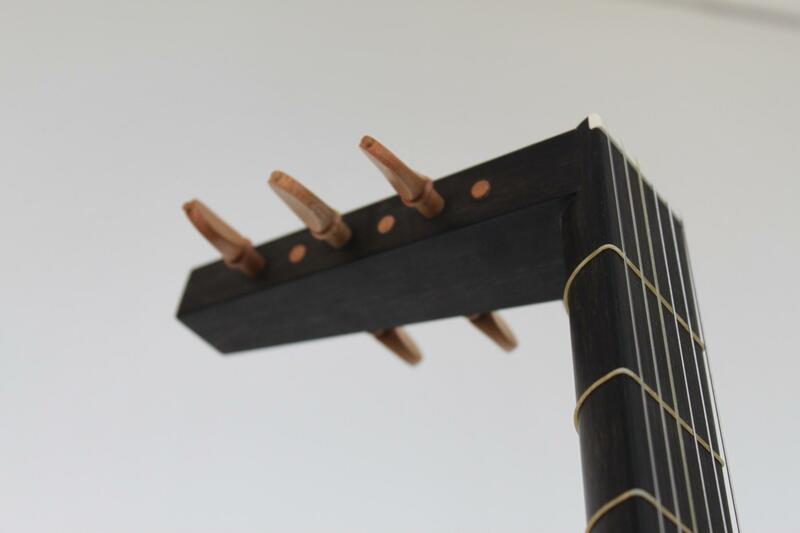 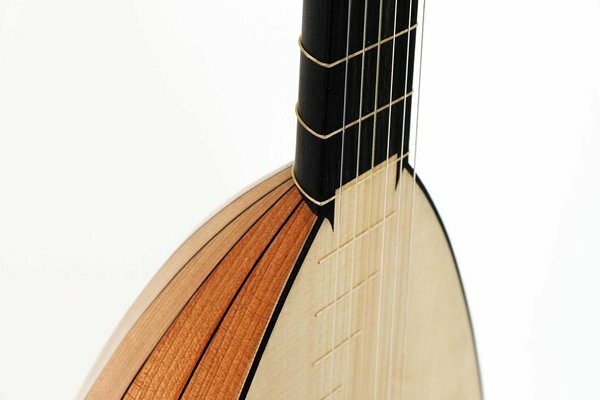 It is loud and light weight ca 550 g.
String spacings and action is optimal for developing a high standard lute playing technique under guidance from the best professors. 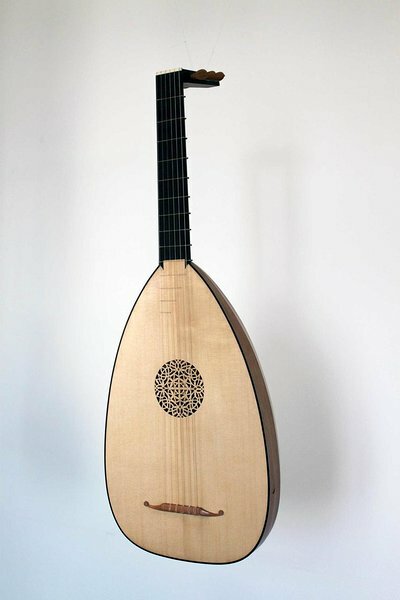 If you treat it well, this lute is made to have a high resale value if you want to upscale to something more luxurious looking later. 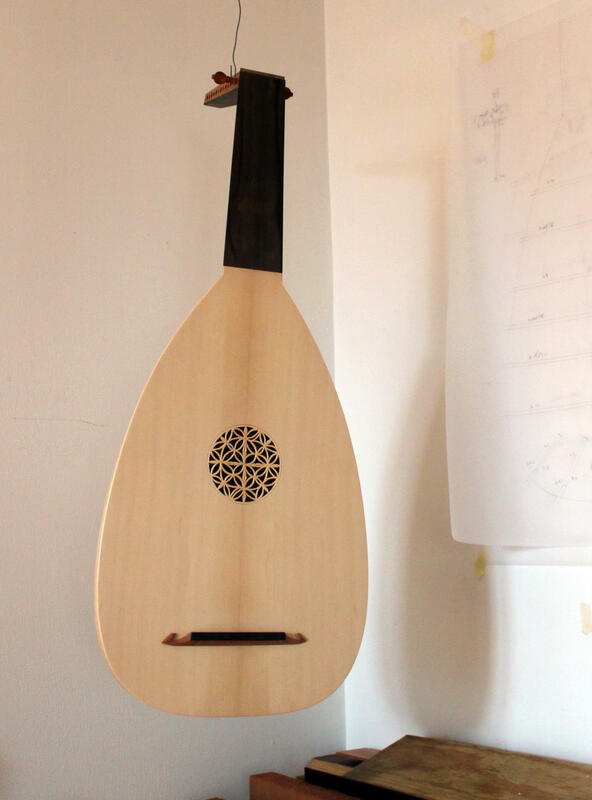 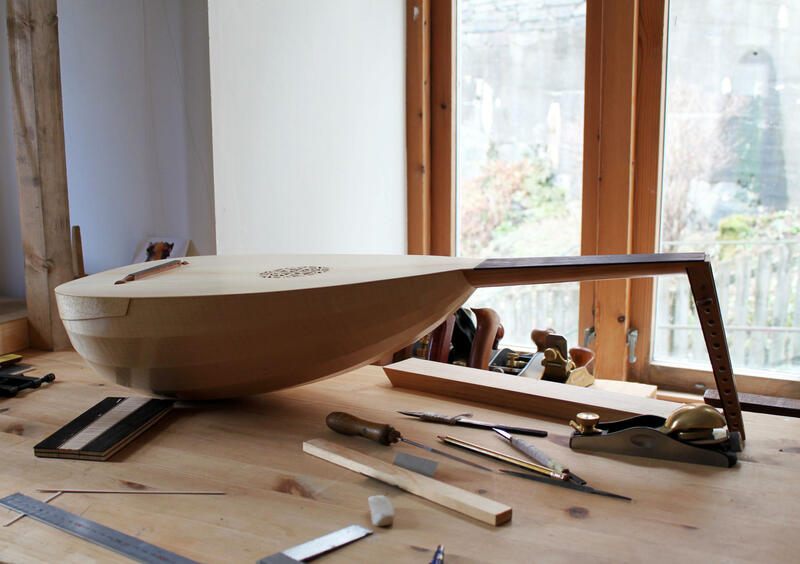 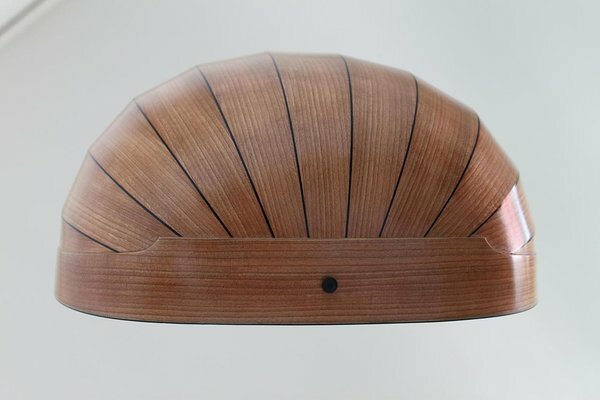 To keep the lute affordable I incorporate several time saving operations and material selections without cutting corners on quality or authenticity. 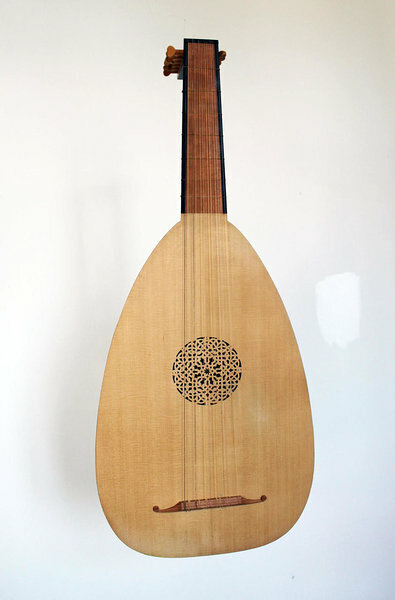 So shortly; this is a decent, historically correct made lute. 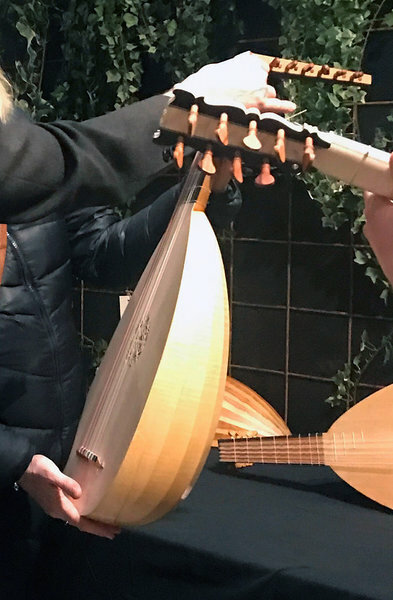 All the basic materials and features that produce a reliable, good sounding lute you just want to play - and play, is there. 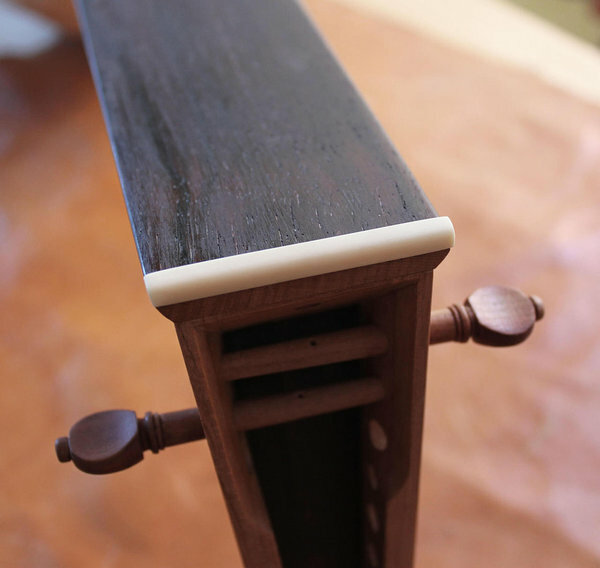 Two layers of oil varnish enhance the beauty of the wood. 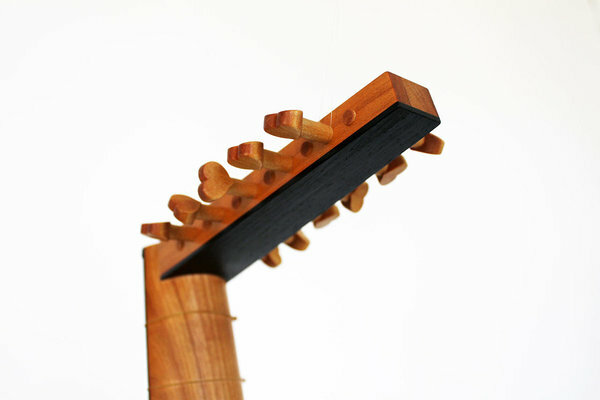 All natural glues and material. The response may be optimized for Aquila Nylgut "CD" basses on request without additional cost. 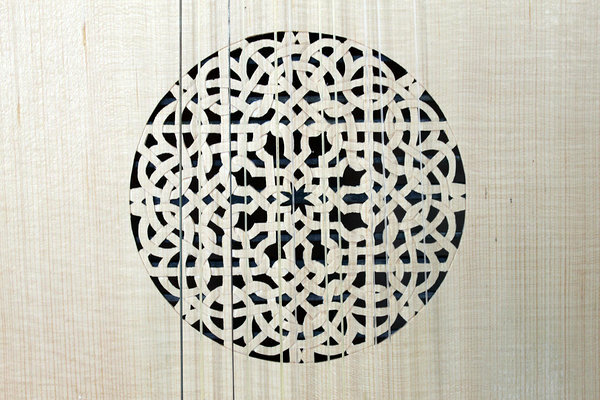 Follow my "news" section - sound samples featuring Aquila Nylgut "CD" basses soon to be released. 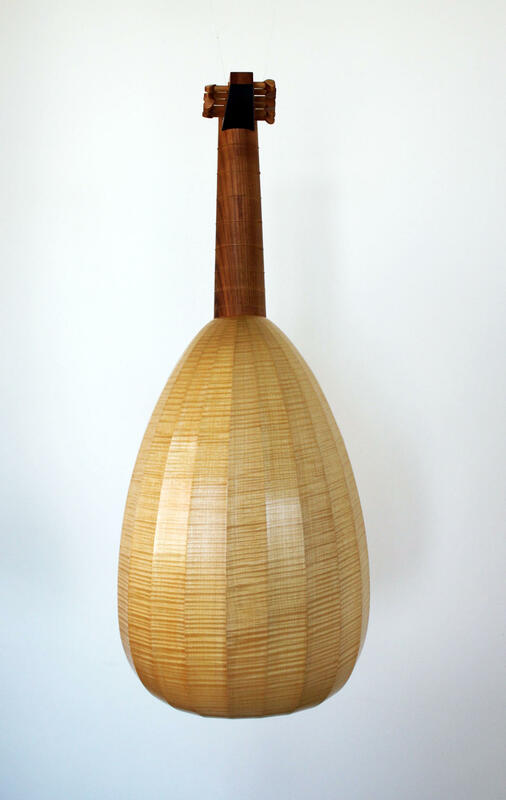 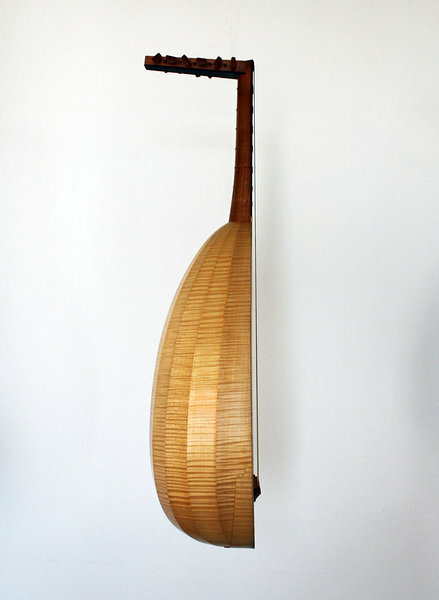 6 - course lute in g.
Photos of my own instrument made in 2003. 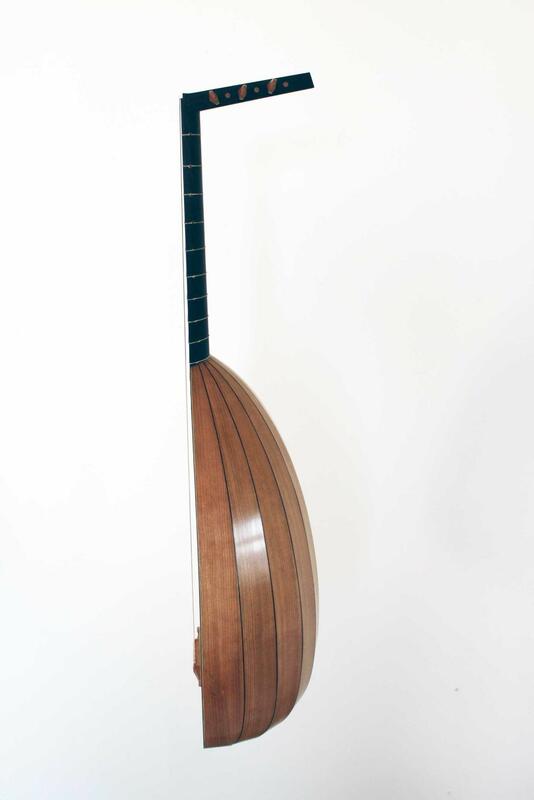 7- course lute in g.
Photo of Vegard Lund with his archlute I made for him in 2003. 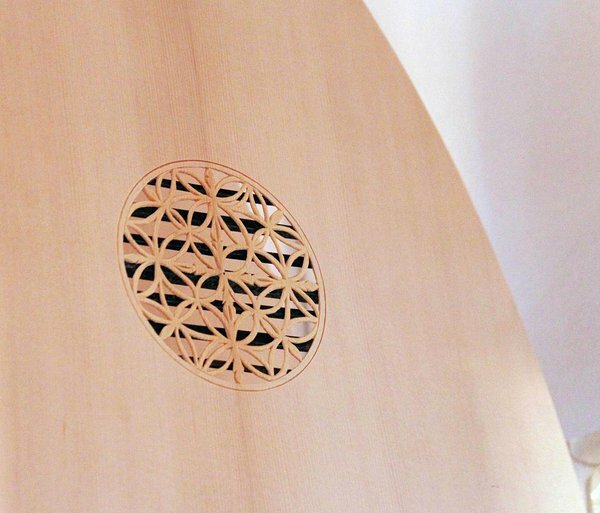 Price : ask for a quote.